2018 was the year of waiting. Ukraine waited for the IMF money, the start of the election campaign and the answers to some questions, including on further increase of gas price and Sviatoslav Vakarchuk’s bid in the presidential election. 2019 will probably deliver more answers than questions. Ukrainians will decide who occupies the Presidential Administration and the Verkhovna Rada for the next term. This will make it clear what political course Ukraine will take in the next five years. Economically, we will find out whether yet another crisis comes. Risks will be plenty. If Ukraine survives them in 2019, it may well forget about deep crises for a long time to come. The first batch of risks will come from outside. 2018 was a very difficult year for emerging countries. They spent the year watching capital flight helplessly as the US Federal Reserve raised interest rates and folded quantitative easing, and the federal budget deficit expanded. This led to a synchronized devaluation of their currencies with MSCI EM Currency Index plunging over 7% in less than 11 months. Full-blown crises started in several countries, pushing them to the IMF for help. These trends in the US monetary and fiscal policies will continue. As a result, pressure on the balance of payments in emerging countries will continue, and so will capital flight from them. The longer it lasts, the more countries it will hit – a few more may join Argentina, Turkey and Pakistan which suffered in 2018. And serious side effects will emerge, including the plunge of global prices for raw materials. Emerging countries are large buyers in global commodity markets, and they are also the most vulnerable ones financially. China imports virtually all groups of commodities. India and Pakistan import fuels and steel products. Mexico buys metals and food. Devaluation of their currencies has undermined their purchasing capacity, therefore it will affect global commodity markets as demand plunges and prices follow. According to the IMF, many groups of commodities will get cheaper in 2019. This will have negative implications for exporters, including Ukraine. In fact, oil proved the point by losing 25% of its price in just the last quarter of 2018. More is to come. Domestic risks are no smaller. According to its National Bank (NBU), Ukraine will have to repay over US $5.8bn of its foreign debt in 2019. This serious sum is an equivalent of a third of the country’s foreign exchange reserves at the end of 2018. The IMF tranche, financial assistance from other donors and the issuance of Eurobonds in October can help Ukraine cover at least half of the sum needed. Finding the rest may be more challenging. If the government has to buy currency on the market, this may lead to double devaluation pressure, especially as it couples with the balance of payments deficit caused by the potential capital flight and the plunging commodity prices. Then hryvnia will lose in value again. This will not have disastrous consequences but will be felt by everyone. The main thing is for the government to have funds with which to buy the currency. This was the key domestic problem in 2018, and it will remain so in 2019. In 2018, the Cabinet of Ministers struggled to meet the budget plan for revenues and borrowings for six months. After hryvnia fell to UAH 28 per US $1 in July-September, budget revenues went up – mainly thanks to revenues from the customs. The government may use this recipe in 2019. A risk, however, is that the pre-election populism inflates the plan of spending to the point where no revenues will be enough to fund it, however imaginative the government and the parliament are. Ukraine was not lucky in terms of domestic borrowing in 2018. Still, the government plans to draw UAH 52bn net (borrowings less payouts) in 2019, which is way more than it did in 2018. This may be one of the biggest risks. Time after New Year will show whether it can deal with this risk, and how it can do so. Overall, 2019 will be a difficult year for the country both politically and economically. 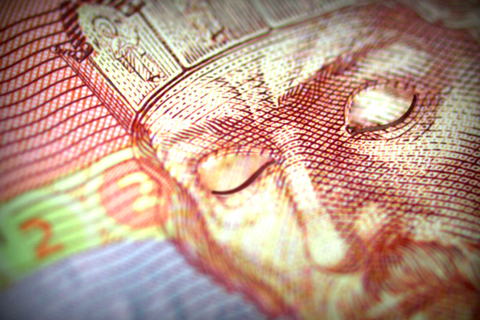 Hryvnia will go down to over UAH 30 per US $1. It is unclear whether the government can guide Ukraine’s economy through all the risks without excessive turbulence. This gives jitters. On the one hand, the government proved its ability to take wise and balanced decisions in 2018. It chose to raise gas prices, thus making the richer part of the population cut down on consumption a bit, rather than allowing a new crisis to unfold that would once again throw the country several years back. On the other hand, the government has shown that wise decisions take a lot of effort and time. The trouble is that Ukraine might face a more pressing need for quick decisions in 2019 than for wise or balanced ones.